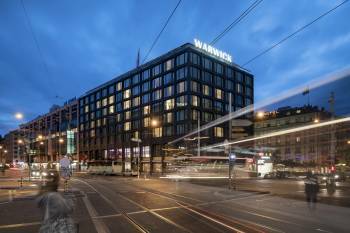 Warwick Geneva’s seven multipurpose event spaces, enhanced with daylight from floor-to-ceiling windows, are as adaptable as they are welcoming. Whether it is an intimate cocktail gathering in the foyer or a conference of 200 guests in the Jura-Mont-Blanc room, there’s a space perfectly suited for any meeting, social event or wedding at the hotel! Of course, the forthcoming staff is always available for technical support, catering services or general room support to ensure guests’ meetings go as smoothly as expected.